The biggest winners at PokerStars high stakes tables yesterday were both PLO specialists as Grazvis1 (+$90,218) and BERRI SWEET (+$76,720) led the way on a busy day of big-bet action. Grazvis1 put in over 1.3k hands at the $25/$50 and $50/$100 six-max tables playing throughout the afternoon and evening against the liks of EEE27, ImagineKing, probirs, BlackFortuna, and ActionFreak. In total he played at 24 different tables between 3pm and midnight to end up with his $90k profit. BERRI SWEET's profit came from a three hour, three table session playing heads-up $100/$200 PLO against US pro Ben "Sauce123" Sulsky. 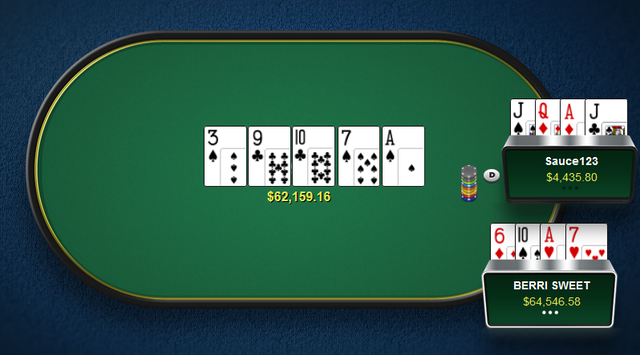 The pair met late morning playing 680 hands whilst playing the three tables simultaneously. Although Sauce123 had the better start, quickly going up $30k in the match, it was BERRI SWEET who controlled the action for almost all of the three hour session, peaking at +$85k before ending the session up $76,720. BERRI SWEET took the biggest pot of the match, which was the second biggest pot of the day's action. 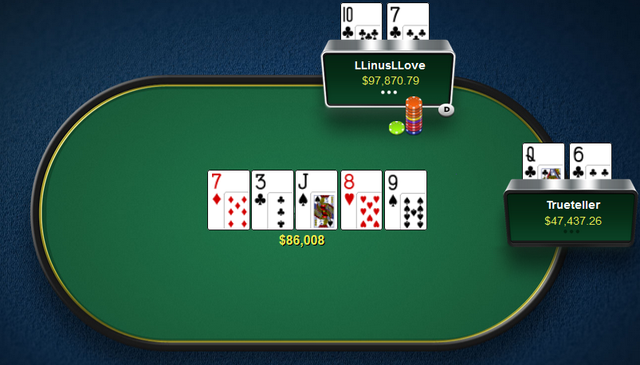 In total LLinusLLove won $69,478 with the remainder of his profit coming at the $25/$50 and $50/$100 NLHE tables, enough to place him third on yesterday's highstakes leaderboard. A way back in fourth place on the leaderboard we find IReadB00ks who made a $27,016 profit from an afternoon at the $25/$50 and $50/$100 ring games. All of his profit came from a three hour session yesterday evening at $50/$100 PLO table Golson. For all Friday's action check out the results page, or for current action check out the live results section.